1997 American Music Festivals (AMF) founded by Artistic Director Philip Simmons. 1998 "American Music Festival in Saint Petersburg, Russia" performed in the Great Hall of the Saint Petersburg Philharmonia. Guest artists William Warfield (AMF's first Artistic Advisor) and Chicago Symphony Orchestra clarinetist John Bruce Yeh. 1999 "American Music Festival in Russia," concerts in Saint Petersburg and a July 4 concert of American music at the Moscow Conservatory by the Russian State Symphony (former U.S.S.R. Symphony), televised nationally. Mr. Warfield performs Russian and American works with the Lincolnwood Chamber Orchestra at the Chicago Cultural Center. 2000 "Second American Music Festival in Russia," with concerts in Saint Petersburg, Sochi, Novgorod, and a recording project (Impressions of Saint Petersburg) with the Yaroslavl Symphony. A third consecutive July 4th concert in Russia by the Saint Petersburg Philharmonic Chamber Orchestra at the Yusupov Palace. In Chicago, the premier of Ilya Levinson's (AMF's Composer in Residence) "Chicago Fantasy." 2001 "American Music Festivals visits Eastern Europe" included concerts in Russia, the Czech Republic, and Bulgaria. A U.S. Memorial Day program in Moscow with the President's Orchestra (Orchestra of the Kremlin Theater) was presented on the "Chicago Days in Moscow" Festival. Concerts by the Community Players Orchestra (Chicago Board of Education) and collaboration with Chicago Silent Summer Film Festival. 2002 American Music Festivals merges with the Lincolnwood Orchestral Association. "Three Russian Tenors in America" concert by the Glenview Symphony. Collaboration in the Czech Republic with the International Dvorak Society, "American Spring Festival." Itzach Rabin Memorial Concert at Northwestern University, with the Israeli Consulate in Chicago. 2003 Exchanges with Czech Republic brought legendary pianist Radoslav Kvapil and mezzo soprano Edita Randova to Chicago, with Mr. Simmons conducting in Jilhava and Hradec Kralove. Side by side concerts and educational outreach to Lincolnwood School District 74. 2004 AMF tour to Saint Petersburg, and a sold-out July 4 concert of American music by the Saint Petersburg Philharmonic. North Shore Chicago Concert Series, with a performance by the Lake Bluff Sinfonietta at Lake Forest Academy. Performances in Chicago by Belarusian Associate Conductor Anatol Lysenka. 2005 Lukas Foss, AMF's second Artistic Advisor, performed with the LCO at the Chicago Cultural Center, as conductor and piano soloist. 2006 With the Village of Lincolnwood and Mayor Jerry Turry, AMF participated in a fundraising concert by the LCO at the Loeber Motors Showroom, in support of victims of Hurricane Katrina. Orchestral programs of American music were facilitated in Belgrade (US Embassy) and Prague (Chicago Sister Cities International). 2007 First collaboration with Chicago Bosnian community, acknowledged by Senator Joseph Biden. 2008 Adjudication at Dimitri Nenov International Piano Competition in Razgrad, Bulgariia. Concert with Classic Avante Garde Soloists Ensemble, Belarus, made possible by a grant from the US Embassy in Minsk. Collaboration with Wilmette Fine Arts Commission. 2009 Abraham Lincoln Bicentennial Concert by the Lincolnwood Chamber Orchestra at the Northbrook Public Library. Collaboration with Varna International Arts Forum (Bulgaria). Concert with Sarajevo Philharmonic, including Ilya Levinson's "Sevdah Medley." Return to Russia for concert celebrating USA-Russian Relations in Sochi. 2010 Orchestra of the Hawaiian Islands debuts at Four Seasons-Hualalai Resort. 20th Anniversary Season of the Lincolnwood Chamber Orchestra, including a "Celebration of Bulgarian Culture in Chicago" with pianist Victoria Vassilenko at Northeastern Illinois University. Cultural exchange with Japan and conductor Hiro Ueba, Kona Coast-Sendai. 2011 Concert of All-Hawaiian music with the Orchestra of the Hawaiian Islands. Village of Lincolnwood's 100th Anniversary Gala Concert Celebration with violin soloist Pip Clarke. Concert collaboration with Sones de Mexico Ensemble at Benito Juarez Academy in Chicago. 2012 Korean music with the Sejong Cultural Society in Lincolnwood. West Side Story production with the State Music Theater of Belarus, sponsored by the US Embassy in Minsk. Lincolnwood Chamber Orchestra performs at Chicago's Harris Theater with Chicago Syntagma Musicum. 2014 25th Anniversary Season of Lincolnwood Chamber Orchestra, Philip Simmons soloist in Manuel Ponce's "Concierto del Sur for Guitar" at Lincolnwood Community Center. 2015 Program of Chinese music at Hong Kong Club Gala (Drury Lane Theater, Oakbrook, IL) with erhu performer Guang Long Li. Concert collaboration with Illinois Holocaust Museum and Education Center, "Through Soviet Jewish Eyes" exhibit and concert. Sir Georg Solti Memorial Festival, with concerts by Lincolnwood Chamber Orchestra and Chicago Pro Musica. Collaboration with Chicago Chopin Society, and composer/pianist Jaroslaw Golembiowski, Taste of Polonia and Christmas Spectacular at Copernicus Center. 2017 Chinese New Year Concert in Chicago, with music of composer Gong Qian Yang, attended by Consul General of the People's Republic of China. Selections from Mendelssohn's Elijah at North Shore Congregation Israel with Kol Zimrah Jewish Community Singers. Four concert 2017-18 International Cultural Exchange Festival, partnering with the Chicago Chopin Society and the Tony Nad Mesty Festival (Czech Republic). 2018 Concert of Polish, American, and Mexican music in Chicago’s Pilsen Neighborhood, in support of the preservation of St. Adalbert’s Catholic Church. Free concerts of American music in Lincolnwood celebrating Memorial Day and Veteran’s Day. 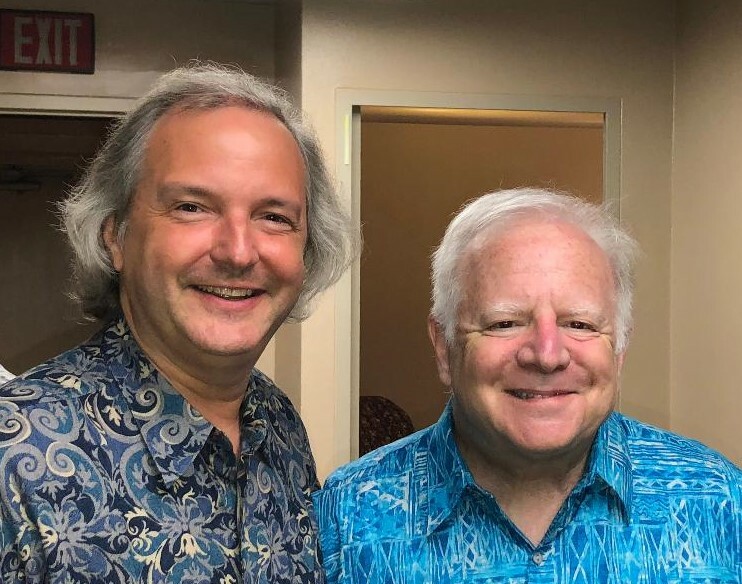 2019 Welcoming Maestro Leonard Slatkin as Artistic Contributor to American Music Festivals. Second concert collaboration with the Baha’i House of Worship, a program of African-American classical, spiritual, and gospel music with Music Director Van Gilmer.